Treasurer race on Sat. 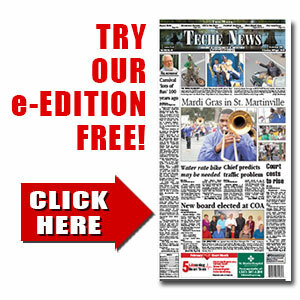 ballot | TecheToday.com | Teche News | St. Martinville, La. The election of a new state treasurer is the only issue on the ballot for Saturday’s general election. Vying to replace U.S. Senator John Kennedy in the treasurer’s office are Democrat Derrick Edwards and Republican John Schroder. Edwards led a field of six candidates in the primary election, garnering 31 percent of the statewide vote. Shroder, who was one of four Republicans in the race, finished second with 24 percent. Here in St. Martin Parish, Schroder received 32 percent of the vote while Edwards had 20 percent. The local early vote for Saturday’s election totalled 1,213, 3.3 percent of the 36,958 registered voters. All 51 parish polling places will be open from 7 a.m. to 8 p.m. Saturday.